A Review of Leo Selivan’s (2018) “Lexical Grammar” | What do you think you're doing? Reporting on a survey of upward of a 100 ‘scholars working in the field of SLA’, in the US, Europe and Australia, in order to ascertain the current state of applied linguistics, Kees de Bot (2015a) found that the once-dominant theoretical paradigm, what he calls ‘orthodox generative SLA’, has been taken over by ‘different approaches, such as sociocultural theory, emergentism, complexity/dynamic systems theory, and various forms of usage-based (UB) linguistics’ and that ‘proponents of a progressive Chomskian view on language are now considered as conservative’… He goes on to say that ‘now a generation of UG [universal grammar] linguists is retiring, and there is a tendency in many universities not to replace them with younger scholars of that school, but rather to appoint UB oriented linguists. As some of the interviewees in my study indicated, there is almost a sense of euphoria that the grip of the nativists on what constitutes linguistics is gone and that other approaches and more social orientations are seen as meaningful alternatives’ (de Bot 2015b, 262 – 3). de Bot, K. (2015a) A History of Applied Linguistics 1980 – 2010. London: Routledge. de Bot, K. (2015b) ‘Moving where? A reaction to Slabakova et al (2014) Applied Linguistics, 36/2. Let me start by saying, once again, that I respect you as a progressive force in ELT, and that I’m as beguiled as everybody else is by your charm. I’m very pleased to see your comment here, and I wish you’d answer the 5 questions that prompted this new blog. Selivan’s confused, incoherent account of language learning has your stamp all over it, from its content-free appeal to chaos theory, through its absurd references to generative grammar and grammatical competence, to its daft suggestion that ELT should concern itself primarily with teasing out the grammatical content of chunks. 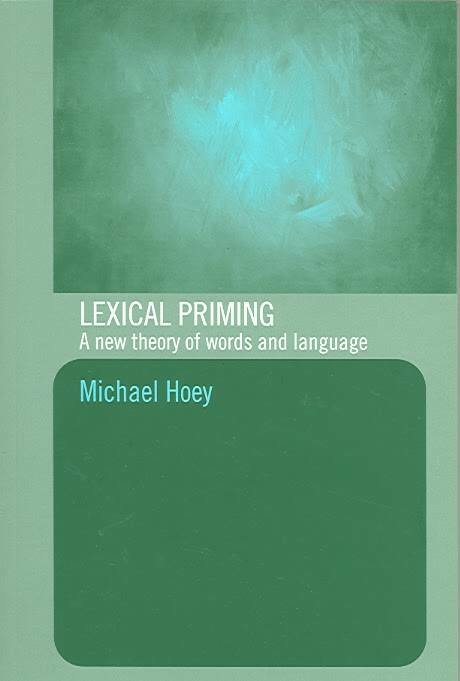 As the editor of Selivan’s book, you must take responsibility for the general incoherence and lack of cohesion of the text; its lamentable lack of scholarship; its misrepresentation of Hoey’s theory and of usage based theories of language learning; its inability to present any coherent view of SLA; and its failure to confront the problem of how to teach the tens of thousands of chunks which competent users of English display. In order to assess the merits of usage based theories of language learning, they need to be properly described. Selivan fails to give any coherent description of them and actually seriously misrepresents them. In your comment here, you choose to say nothing about any of this, preferring to defend usage-based theories by citing an article that says nothing about their content. Let’s look at this defence. I said that a usage-based (UB) theory of learning is not accepted by the majority of scholars working in the field of SLA. You cite Kees De Bot’s survey of upward of a 100 scholars working in the field of SLA which suggests that the once-dominant theoretical paradigm of “orthodox generative SLA” has been taken over by different approaches, including various usage-based (UB) theories . De Bot says that there is a tendency in many universities to appoint UB oriented linguists, and that “there is almost a sense of euphoria that the grip of the nativists on what constitutes linguistics is gone and that other approaches and more social orientations are seen as meaningful alternatives”. This doesn’t refute my claim. Neither does the quote you give in the PS. This is important. Do you get it? The “grip of nativists”, the “sense of euphoria” that the grip is giving way, and all the rest of it, does nothing to refute my claim. Is that clear? Let me make it clear: most people working in SLA don’t accept UB theories. A different, more important question is, of course: Who’s right? Nick Ellis, Tomasello and others are doing exciting work, and we should pay attention to it. But so far most SLA scholars remain unconvinced: the majority prefer to work on the assumption that we learn languages thanks to help from innate hard wiring. UB attempts to show that language learning can be explained by associate learning have so far failed, but they’re gathering steam and they might succeed. I wish them well, but their efforts don’t get any help from anything you’ve contributed so far, and they certainly don’t benefit from Selivan’s treatment of them. Nothing you’ve published replies to the criticisms of UB made by Gregg in his 2003 article on emergentism, and nothing you say here warrants your claim that UB theories are the new paradigm. Most importantly, in the context of Selivan’s book, you say nothing to defend his misrepresentation of UB theories, or to defend him against the criticisms I make of his book. Why not argue the toss on emergentist vs nativist theories? Why not let an appeal to rational argument and evidence decide? You say “We’ll never agree” as if we’re stuck in opposing camps that can’t talk to each other. I’m prepared to be persuaded by rational argument and evidence that UB therories are right, but I’m not persuaded yet, although I’m very keen to see the UB theories prosper. It’s you, not I, who has decided where the truth lies. As you know, Nick Ellis and Mike Long have already found common ground, and I think there’s a good chance that we’ll end up with a theory that ditches Chomsky’s theory and adopts a view closer to O’Grady’s, with its appeal to a more general (innate!) processor – Nick Ellis is moving there. I criticise usage based theories that take a more strictly empiricist view (no such thing as mind), silly stories about flocks of birds and broccoli, and the sociolinguistic, post-modernist relativism that informs the work of people like our mutual friend David Block who reject a realist epistemology. I take the stance of a critical rationalist, I’m persuaded by the poverty of the stimulus argument, and by Gregg’s insistence that we need a property theory to make sense of transition theories of SLA. I recognise that we don’t have any complete theory of SLA, but I’m persuaded, so far, by the psycholinguistic theory that explains SLA as a process of interlanguage development whereby learners refine their mental representation of the target language by appeal to innate knowledge of how language works. This suggests that language learning is basically a matter of implicit learning, and has implications for ELT, to the effect that coursebook-driven ELT is fundamentally mistaken. Interestingly enough, you adopt a UB view of language learning which even more forcefully stresses the role of implicit language learning. I didn’t say that UB-theories are generally repudiated by SLA scholars, I said that most SLA scholars are unconvinced. You’re quite right to say that I don’t offer any evidence for this, but I’ll have a bet with you. If we look at articles published in the last 5 years about SLA in the top 10 journals, and if we also look at the contents of MA courses in applied linguistics that have modules on SLA in the top 50 universities in the world, I bet you that UB theories are not as frequently represented as cognitive theories that either ignore or reject UB theories. 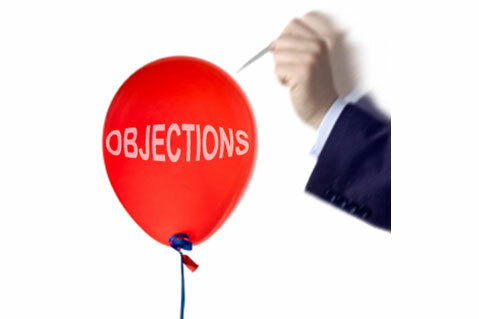 You tend to trust the judgement of scholars like Lourdes Ortega, who nowhere gives any support to the conclusions that Selivan comes to, whose conclusions about the implications of SLA studies for ELT have come under increasing fire, and who voices serious reservations about the more strident claims of UB theorists. You presumeably ignore the judgement of scholars like Doughty, Long, Robinson, Skehan, Schmidt, Cook, Carroll, Gass, R. Ellis, O’Grady, Mitchell, Myles, White, Gregg, Lightbown, Spada, and a host of others whose names don’t spring to mind, who reject UB theories. But anyway, let’s just suppose that I’m wrong to say that most SLA scholars reject UB. So what? The question remains: Who’s right? How do people learn an L2? We’ll only answer that question by an appeal to the evidence and to rational argument. Sniffing the breeze and detecting that something is blowing in the wind is no more than a promising start. Thanks for your considered response, Geoff. You’re right: in the end it’s not about how many scholars line up to the left or the right of the halfway line. Nor, I would hazard, is it about ‘who’s right’, since in the social sciences, matters are seldom decided unequivocally. Or by a show of hands. That’s why I do NOT ignore the judgement of the scholars you mention (many of whom occupy a prominent place on my bookshelf). Apropos, it’s worth noting that Nina Spada was one of the editors of the Tyler et al collection on UB, while Rod Ellis is quoted (by de Bot) as saying that, in the forthcoming edition of Understanding SLA ‘there will no longer be a separate chapter on [generative grammar]-based approaches to SLA, but only some paragraphs in the chapter on linguistic approaches.’ Also, I personally see a LOT of overlap between task-based approaches and usage-based ones, both of which are predicated on experiential models of learning, while decisions regarding the optimal balance between implicit and explicit learning are never going to be resolved by context-specific small-scale and/or laboratory studies, but seem best left to teachers ‘on the ground’. Very pleased to see that there is common ground here. I take your point about nobody claiming to know the truth in the social sciences, and about Spada and R. Ellis. And of course I agree about the common ground between TBLT & UB approaches to teaching. I particularly like Nick Ellis’ commitment to making his research relevant to teachers. While decisions on the optimal balance between implicit and explicit learning / teaching might be best left to teachers on the ground, I think the methodological principles outlined in Long 2015 and those discussed in Thornbury & Meddings 2009 both argue against using General English coursebooks, and both advise against spending more classroom time on explicit instruction than on scaffolding relevant communicative tasks. 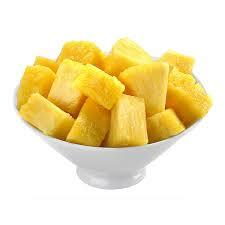 regarding the question “Is everything chunks, then?” the studies quoted maybe be giving maximum ranges (i.e. ~50%) due to the fact that the texts used in these studies need to follow certain +editorial/academic/text conventions+. A recent study Nelson (2018) gives figures ranging from 1.3% to 31.8% (for 4 grams, 3 grams & 2 grams) for more +general uses+. So the claim that “everything is chunks to a large extent” is probably an excessive claim (though that is not dismissing importance of chunks). I didn’t see this comment till just now. Thanks for the info. on the Nelson study. It’s good to have these data and the link to the free downloadable pdf. Despite my initial reluctance here’s my response. First of all, let me start by saying that I’m honoured that you have picked my book to pick on – among many books in the Cambridge Handbooks series, let alone among many other ELT books that have been published this year. On one hand I’m surprised by your choice, on the other hand I’m flattered because, as many colleagues on social media have pointed out to me, you choosing to critique – or rather criticise someone’s work – is a sure sign they are doing something right. So there’s that. Going back to your self-indulgent treatment of a practical book aimed at teachers as if it was an academic volume. In a handbook like this, simplifications (which you prefer to refer to as ‘misinterpretations’) are inevitable. In fact, I had to cut my theoretical part, which is, in its current form, already quite long for the series, by half! It’s your SUBJECTIVE opinion that I misrepresent Hoey’s theory but – by the way, thanks for reminding me to send a copy to Michael Hoey and see what he has to say – this is YOUR opinion. You have already attacked Hugh Dellar, and possibly Scott Thornbury on the pages of this blog for allegedly misrepresenting Hoey’s theory. Interestingly, you also took to pieces Scheffler’s (2014) criticism of Hoey’s (as I said, I can no longer find anything on your blog because you’re constantly moving things around). You try to proclaim yourself as the only one who understands Hoey’s theory (the only one who understands any theory for that matter) while all the others, even critics, misrepresent it! That’s just silly, isn’t it? Perhaps, you’re the one with the problem? Regarding your long list of scholars who allegedly “reject” usage-based (UB) theories – Doughty, Long, Robinson, Skehan, Schmidt, Cook, Carroll, Gass, R. Ellis, O’Grady, Mitchell, Myles, White, Gregg, Lightbown, Spada – I am surprised Ferdinand de Saussure didn’t make the list! Some of these never make reference to UB theories in their work. While some others have actually edited books with chapters devoted to UB theories. Even if readers were foolish enough to fall for your sweeping statement – and incidentally, the UG theories that you choose to take issue with is only ONE strand of research I draw on among at least three – there is a slew of other scholars who do subscribe to the UB view, such as Bybee, Wray, Wood, Ellis, N, MacWhinney, de Bot, Tomasello and O’Grady ! In fact, one of them referred to my book as “a long overdue resource of ways to teach multiword/formulaic units” in a recent tweet. You keep repeating mantra “doesn’t provide a coherent account of SLA” when the book never purports to. You make a baseless accusation that I support the PPP paradigm – this is never mentioned in the book. In fact I cite Dave Willis who is critical of the PPP approach. I guess your ‘free preview’ didn’t include that bit. Lastly, even if we were to accept your intransigent view (supported by a random list of SLA researchers aimed to show off your erudite knowledge) that UB theories are not accepted by SLA scholars you have, in a way, complimented me again! Effectively you’re saying that I champion a left-field take on SLA, which renders the book in hand as cutting edge, nothing short of ground breaking, revolutionary indeed! Kudos to me! My PC is bust. I’m trying to use my wife’s, but it’s painfully slow. I’ll reply next week. 1. That much of language is made up of formulaic language. 2. That it’s useful to know formulaic language for receptive L2 use. 3. That it’s also useful to know formulaic language for productive L2 use. 4. That formulaic language can be taught. While I can see a fair few papers problematising some of these concepts (e.g. it’s hard to count how much of language is formulaic) I can still see a fair amount of evidence for each of these claims and wanted to ask which of them, if any, you disagree with. My PC is working again, so here’s my reply to yours. You try to proclaim yourself as the only one who understands Hoey’s theory while all the others, even critics, misrepresent it! That’s just silly, isn’t it? Perhaps, you’re the one with the problem? Well, in fact, I don’t proclaim any such thing, and it’s more than silly to suggest that I do. And to say that my criticisms are “SUBJECTIVE”; that they express MY opinion is to state no more than the blindingly obvious. As for my long list of scholars who reject usage-based (UB) theories, all of them have made it perfectly clear that they are against UB explanations of language learning in general and SLA in particular. When a scholar states that they adopt a nativist framework, or a cognitive-interactionist theory of SLA, it follows that they reject UB theories, even if they don’t make reference to UB theories in their work. And, of course, the fact that some of those on the list have edited books with chapters devoted to UB theories doesn’t mean that they accept UB theories. Yes, there are many scholars who subscribe to the UB view. I think I’ve made it clear that I’m very interested in the work being done by N. Ellis, Tomasello and others, and that I wish them well. My point regarding your book is that you misrepresent the UB view, and ignore the criticisms made by Gregg and others. My claim that you support the PPP paradigm is based on the fact that you endorse coursebook-driven ELT. If you don’t think the PPP approach to ELT is a good one, then I apologise for misrepresenting your view. So your reply doesn’t do much to answer the points I raised. Perhaps you’ like another crack at answering them. 1. Hoey says that words are stored as in a giant corpus – each word accompanied by “mental usage notes” about collocations and colligations. Is this not at odds with your claim that our brain stores chunks as whole single units? 2. If lexical chunks are stored as single units – indivisible chunks with no internal parts – how can they be “teased apart”, or used as templates, or used to drive the process of grammar acquisition ? If grammar and semantics are post-hoc effects of the way lexical items have been primed, … there is no right or wrong in language. It makes little sense to talk of something being ungrammatical. All one can say is that a lexical item or items are used in a way not predicted by your priming…. everybody’s language is truly unique, in that all our lexical items are primed differently as a result of different encounters. 4. You suggest that L2 learners have two ways of behaving: when they’re in “familiar contexts”, they repeat language which they’ve already encountered; whereas, when they’re confronted with “new communicative situations”, they resort to grammar knowledge in order to produce completely new sentences. Are you seriously suggesting that L2 learners behave in this dichotomous way? What sort of grammar knowledge do the resort to? How did they get this grammar knowledge? 5. You say that children acquiring their L1 start out by recording pieces of language encountered during their day-to-day interaction and then repeating words or multi-word phrases. They then slightly modify the encountered language to suit various communicative needs. Only later, you say, do abstract categories and schemas, such as the subject–verb–object word order or inversion in interrogatives, begin to form “from these specific instances of language use”. At the same time, you insist that children learn language by unpacking chunks that are stored as holistic units in the brain. Is there not a contradiction here? 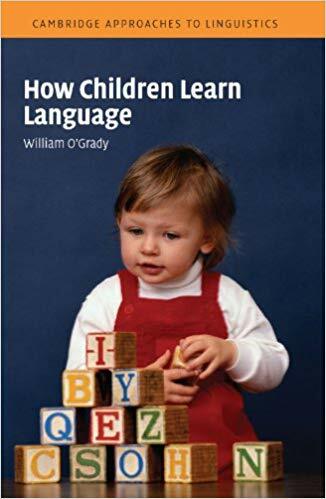 And anyway, how do you reply to O’Grady’s account of how children learn languages, briefly summarised in the review of your book, based on empirical research, which completely contradicts your confused “explanation”? 6. You argue that the SLA process is very similar to L1 learning: L2 learners use memorized chunks to drive “the process of grammar acquisition” by “extrapolating grammar rules” from them. But you don’t explain how L2 learners do this. Are you relying on usage-based theories of SLA to explain how “holistically stored chunks gradually evolve into more productive patterns as learners tease them apart and use them as templates to create new sentences”? 7. You describe language learning as a process where learners start by memorising lexical chunks, then, when the occasion demands, teasing them apart and using them as templates to create new sentences, and thus learn grammatical rules. What theory of SLA does this correspond to? How does it explain why salience is a problem for L2 learners of English but not for infant L1 learners of English. Happy New Year! I hope you’re enjoying your masters. Regarding “chunks”, I think the 2 most important historical documents are Pawley and Syder’s (1983) “Two puzzles for linguistic theory: native selection and nativelike fluency” in J. Richards and R. Schmidt (eds) Language and Communication London, Longman, and Nattinger & Carricco’s 1992 book Lexical Phrases and Language Teaching Oxford, OUP. Pawley & Syder drew attention to what they called “lexicalized sentence stems” -“chunks” of formulaic language, of clause length or longer, a normal competent native speaker having many thousands of them at his disposal. A lexicalized sentence stem is a unit of clause length or longer whose grammatical form and lexical content is wholly or largely fixed; its fixed elements form a standard label for a culturally recognised concept, a term in the language; …… many such stems have a grammar that is unique in that they are subject to an idiosyncratic range of phrase structure and transformational restrictions. 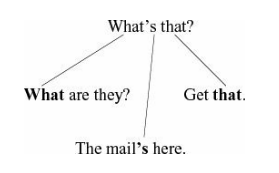 Pawley and Syder suggested that the existence of these lexicalized sentence stems questions the traditional compartmentalization of grammar into syntax (productive rules) and dictionary (fixed, arbitrary usages), and also presents learners with two problems: how to learn a means of knowing which of possible well-formed sentences are nativelike (the puzzle of nativelike selection), and second, how to produce lexicalised sentence stems (and often multi-clause units) without hesitating in mid-clause (the puzzle of nativelike fluency). Nattinger and DeCarrico, drawing on Pawley and Syder, argue that what they call the “lexical phrase” is at the heart of the English language. By using concordancers to look at large corpora, scholars uncovered recurring patterns of lexical co-occurrence. Strong and weak collocates were identified, and a range of collocations, from the completely fixed (such as many idioms and cliches) to the less predictable, described. As a result of such research, it’s now widely accepted that linguistic knowledge cannot be strictly divided into grammatical rules and lexical items, that rather, there is an entire range of items from the very specific (a lexical item) to the very general (a grammar rule), and since elements exist at every level of generality, it is impossible to draw a sharp border between them. There is, in other words, a continuum between these different levels of language. While I agree with your statemens 2,3 and 4, the question is, of course, what’s the best way for teachers to help learners with these various types of chunks? 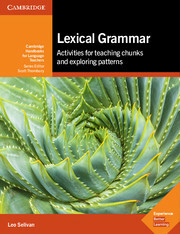 Rather than do what Dellar recommends, which is to explicitly teach as many as possible, with no clear criteria for selecting those which receive attention, I think we have to recognise that learning lexical chunks is one of the most challenging aspects of learning English as an L2 for adult learners. Dellar’s assumption that making students aware of collocations, co-text, colligations, antonyms, etc., by giving them repeated exposure to carefully-chosen written and spoken texts, using drills, concept questions, input flood, bottom-up comprehension questions, and so on, will result in the taught language becoming fully proceduralised receives little support from research findings. Quite apart from the question of how many chunks a teacher is expected to treat so exhaustively, there are good reasons to question the assumption that such instruction will have the desired result. * Trying to teach thousands of chunks is out of the question. * Drawing learners attention to formulaic strings does not necessarily lead to memory traces usable in subsequent receptive L2 use, and in any case there are far too many to deal with in that way. * Getting learners to look at corpora and identify chunks has failed to produce measurable advantages. * Activities to get learners to concentrate on collocations on their own have had poor results. * Grouping collocations thematically increases the learning load (decreasing transfer to long term memory) and so does presentation of groups which share synonymous collocates, such as make and do. * Exposure to input floods where collocations are frequently repeated has poor results. 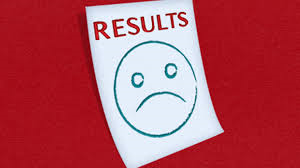 * Commercially published ELT material designed to teach collocations have varying results. For example, when lists of verbs in one column are to be matched with nouns in another, this inevitably produces some erroneous groupings that, even when corrective feedback is available, can be expected to leave unhelpful memory traces. I think there is a universe of a difference to seeing language this way as opposed to the slot filler scheme. And it complicates matters on the practical side tremendously. I did my French lessons in high school with two books, one for vocabulary and the other for grammar translation stuff. It was a neat set up (and the amazing thing is that some actually did learn French that way). And today? It seems to me, that we play out language teaching on an area defined by a continuum running on X axis from implicit to explicit and Y from generative grammar to fixed lexical item. The closer we are to generative grammar, the more implicit the learning seems to occur. The more concrete an item, let’s say the name of my dog, the more explicit the learning task. Hey Geoff, I realised I never responded to this, I really appreciate the detail of this response. It seems really tough to find a way around this problem of needing to learn chunks. Do you think much of extensive reading? I agree – it’s a really tough queston. Both Mike Long and Nick Ellis see it as one of the key questions for ELT. Extensive reading is an excellent partial solution, if you can get students to to do it. And those teachers who are convinced of its worth often DO get their students to agree to read, for example 10 to 20 books (novels, structural readers, whatever) during a 3 month course. As for dealing more explicitly with some chunks, I think a needs analysis – especially Long’s NA based on identifying target tasks – can start the process of narrowing down the candidates, and then frequency counts and valiancy can further pin point some. But it’s still a huge problem, and I really don’t think Selivan’s book does much to help solve it.